I would love to see some sort of larger event/gathering area. I'm already thinking continent-wide holiday parties, ball drop, ect. A larger space would allow for something like that. Bay City has the fairgrounds. I'd love to see something like that added to Bellisseria. I would be happy with rez zones, especially around the docks in the rivers. A gathering area would be pretty nice, a place to dance, socialize, perhaps play a few games that can be accessed by everyone. Also some sandboxes, that do not intrude on other people's views. That is assuming the older premium membership sandboxes are removed, I'm fine with just using those if they keep them. Some rezz zones for people that want to rezz a boat or in my case a car, to explore. The way it is now only people with a house can rezz a car, and only people with a house boat can rezz a boat. I would have liked the houseboats better if the wooden dock at the side against which the houseboat is moored were part of my plot and not Protected Land. This does not make sense as it is not possible to rez anything on the dock or on the water at the far end of the dock and it just encourages passers by to enter houseboats. I would happily have had my plot a little shorter and a little wider so it remained 1024. The other thing I would have liked in the Content Pack would have been the textures for the dock or even a section of dock so that I could add a dock on my own plot that matched what the Moles have built. I was going for a house and got a houseboat! 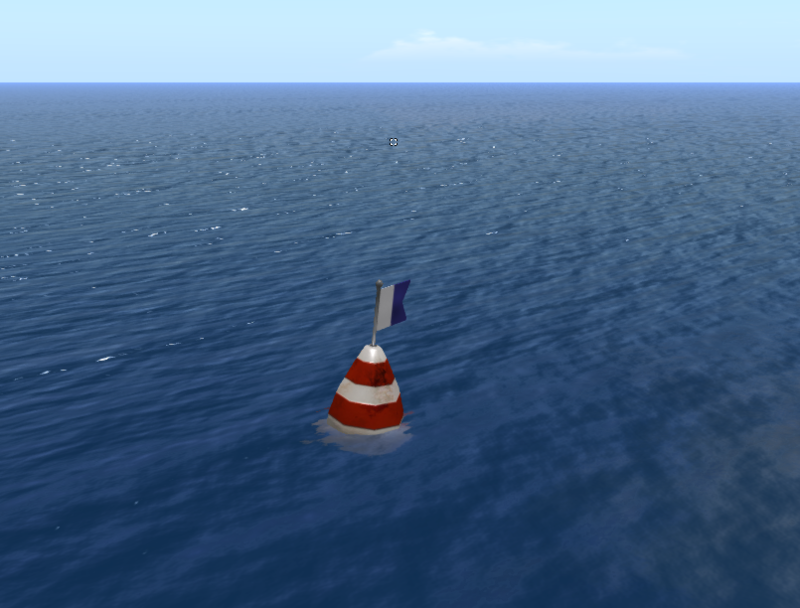 Once I get in world to set it up I plan to also make my slip area a public rez zone for anyone's boat. UPDATE: I've now also placed a "REZ ZONE" in the water so you will be able to spot it instantly. Because I am old-school SL and about the community. And to keep the place clean and neat, there is a 5-Minute auto return, but that should be plenty of time to rez your boats, even if you have glitchies. I also wish we could use the dock beside our plot to rezz on etc. After starting modding my house I feel that few textures are lacking from the content pack - like roofs, wooden texture to match windows and doorframes, another one to match floor on my newly made terrace with the floor on Winchester balcony. And, oh how I wish for windows and door meshes to be shared with us. Hoping content packs will be expanded soon. As for continent itself I can only echo everybody asking for rezz zones. Maybe I will have more ideas after exploring new lands further. I agree with the others. More textures, more communal areas, some rez zones on the roads. For future development of new themes I'd love to see some historical houses/communities. Not like the weird fantasy Elderglen ones, but proper historical ones; half-timbered Tudor, or Victorian gothic/steampunk. Oh, I know, I know what else I wish for! Some mild ambience in terms of sounds in LL owned areas. Nothing too much, but maybe a bird chirping here and there, soft wind going through the trees, waves doing with the shore what them waves do, so on. This is starting to sound a lot like sim city hehe. On more practical issues, i noticed some of the mesh trees and bushes actually encroach on the roads and are very much colliding with tall vehicles. Picnic blankets with pg cuddles or just nosh poses in more private protected land (ie not under someone's window ) by rivers etc. Long term , the LI on the houses could be redone to go down-- now 200 + when abt max 50 for same look in stores. Then the parcel prims could go up maybe. 2. Some sort of mild bumper along the VOIDs or even a string of swimming pool floats which will only appear as you get too close, as a visual aid that we’re straying from navigable water would be nice in my opinion. Something not as visually intrusive as those nasty ban lines! As beautiful as the wide open seas appear, that view is very inviting and mesmerizing especially for inexperienced drivers and sailors, in my opinion. 3. Open stage spaces or Premium Member Open stage spaces. I’m very pleased how beautiful and thoughtfully designed this new continent is and looking forward to being part of the new Security system which will hopefully set a fine example of compromise for the good of the community. Maybe there’s a way to make the door locks operate like invisible ban lines, but only allow them to operate within a certain box sized zone like the size of your house? I have always put my money where my mouth is when I say I am all about the community. 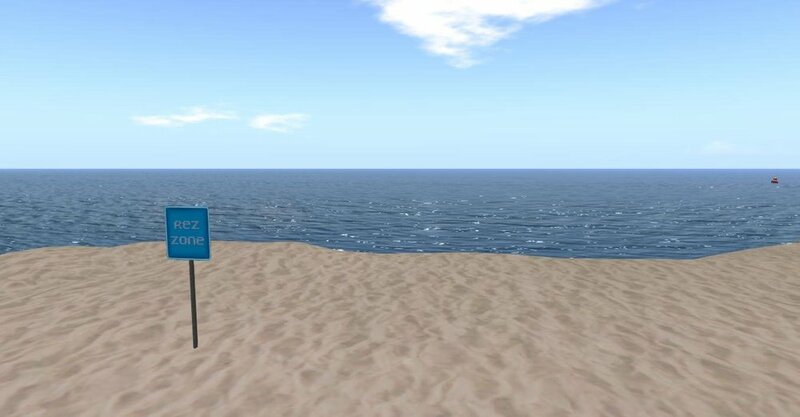 This morning I also placed one of those "REZ ZONE" signs in the water so it's easy to spot (though 75% transparent so it's not too bad an eye-sore). Enjoy! Your proposal sounds like "Bay City". As I've been saying, anyone who's kept their ears and eyes open knew there was an untapped demand for Bay City and Blake Sea living...without the huge buy in those areas have. I also noticed some problematic trees and bushes. One of the reason the houses have such a high LI is to ensure that they don't crumple into a mess (at the default viewer settings) as soon as you move away from them, which is sadly the case with a lot of "store bought" houses because "lower LI = more sales". Whether they are 200, 50, or 500... the houses don't count against your parcel LI. This is going to sound strange and likely counterproductive (considering I think we're supposed to go out and "find" these hidden gems), but I'd like to see something like a community notice board that gives us a link perhaps to what community spaces are available. The new community is already quite large, and while I love that aspect, there is a degree of lag now in the sims that other players perhaps aren't noticing. Well my internet connection is sporadic (thanks to living in outback Australia) so I struggle to drive and cross sims at the best of times. While I'd dearly love to be able to walk around my new neighbourhood without snapping, freezing, and crashing, being able to teleport (and hopefully not crash) to a particular area might be helpful to see what else is on offer. Wouldn't have to be large or obtrusive; just a basic wooden sign near a bridge (or whatever other landmark that's fairly common to many regions so it's easier to find perhaps?) that can click and links to a webpage or even a page on the forum here perhaps listing coordinates; Community pools, parks, community beaches, etc. I don't know, just thinking out loud is all. Any cartographers among us? Remember, Magellan is missing! We can't rely on him to map and discover things for us right now. I would be supportive of perhaps someone putting together a listing, with some nice descriptive text, maybe some thumbnail images in a post and I can pin it here in the forums for everyone. I do enjoy map making actually. I've done it before for other games. 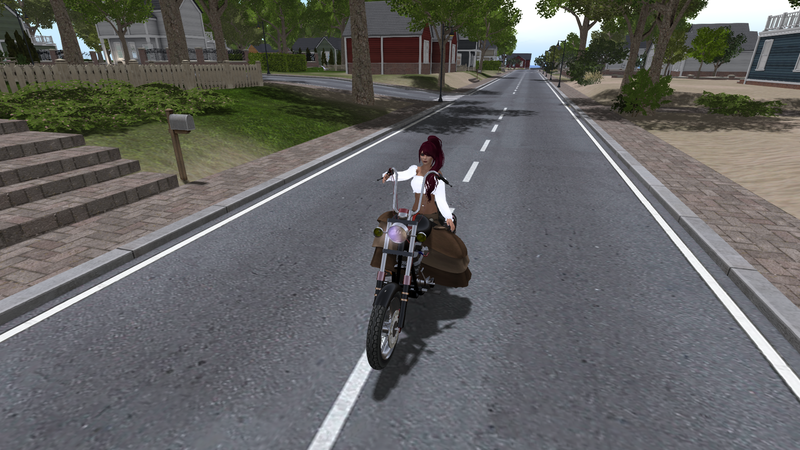 I'm on a vacation visiting my SL Partner in RL (we're one of those sl to rl love stories) but when I return home I'll have more time to do so before we make our move in together in July. Edge of the world! Do not go beyond here! When you hit the edge of the world, you do stop, with a little bounce. You can't fall off or get autoreturned. There's general agreement that we need more rez areas, both land and water. Beyond that, we might give things some time to settle down. For now, my own place allows rezzing. Rez boat here on the sand. Push or edit to water. A temporary measure until we get some docks with rez zones. 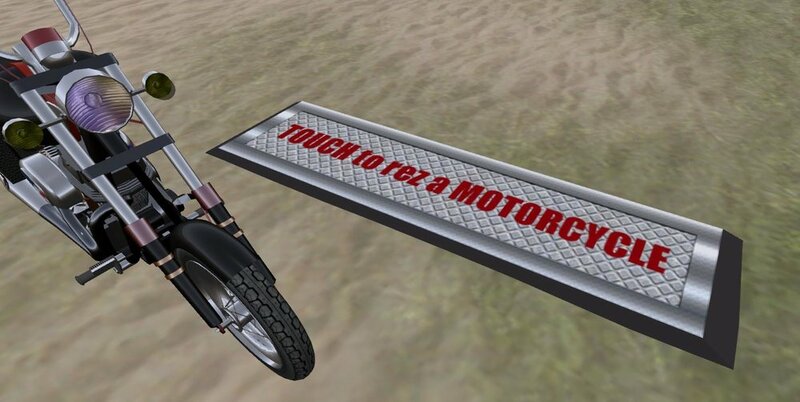 Free motorcycle rezzer if you need wheels. The bike will disappear when you get off. Valerie, my animesh NPC, will say hello if you visit, but she's harmless and will mostly stay out of your way. I like that the new continent has activity. In the last 15 minutes I've seen a boat and a horse go by.